Formulating a standard household budget is the first action in a good financial plan. By creating a budget, you will get a better view of your monthly expenditures and you will be able to develop a savings plan. A household budget makes it easier for you to track and monitor your expenses, savings and more, and also achieve your financial goals. Creating and managing a household budget is not a day’s job, it requires effort, consistency and determination to stick to your goals. With the following steps, you would not only know how to create a household budget, but also gain a knowledge of how to maintain it. In planning your budget, the first you need to do is find out the exact amount of money coming in for you. In most cases, the major source of household income is usually from the salary earnings of both partners. Review one of your source of household income and check the amount left after taxes, healthcare and other essential payments have been deducted. Aside salaries, if you have other income sources, ensure you also add them to your monthly total. After you have been able to determine your monthly income, the next step is to remove the necessary fixed expenses from the total. This refers to the expenses that must be paid on a monthly basis and are not subject to change anytime soon, such as insurance premiums, car payments, rent or mortgage, and other payments. Of all the fixed expenses, mortgage usually account for the largest part, which is why it’s necessary to have a good place. 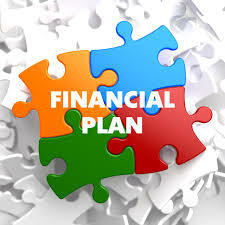 You can employ mortgage calculator with pmi and taxes in improving your financial plan. The next thing you should do after making all the necessary subtractions, look at the remainder and set a target for the amount you want to save at the end of the month or year. This savings will go into fulfilling long-term financial goals such as college fund, building emergency fund, and retirement plans. The role that debt plays in budget allocation varies, depending on the situation. In a case where the payments needed to be made to your accounts is minimal, it’s advisable to add the payments to your necessary expenses. Failing to settle minimum payments on time can damage your credit score and you may face expensive penalties for it. Therefore, setting debt clearance as one of your financial goals which is to be deducted from your monthly savings is a good financial health strategy. Variable spending should be the last aspect of you budget formulation. You have full control over this kind of expenditure and you are allowed to make necessary adjustments at any time. This kind of expenses can be delayed or postponed without any repercussions, and they include money set aside for cars, clothes, home renovations, dinner and vacation. By monitoring and tracking variable expenses, you will be able to know where you’re spending the money that is not being allocated for debt payments, fixed expenses and savings. You can start off by grouping your list of expenses into various categories, for example, housing, auto, entertainment, food, medical, clothing, savings, and so on. It requires a lot of time and effort to draw up and maintain a household budget, but it’s totally worth it as you will be able to tell exactly where your money is coming from and going to, which helps you in making the right long-term and short-term financial decisions.